So long summer, hello fall! Show of hands—who&apos;s ready for falling leaves, cooler weather, tailgating parties, N.C. State Fair adventures, museum exploring and all pumpkin everything? We have big plans for the coming months in Raleigh, N.C.! 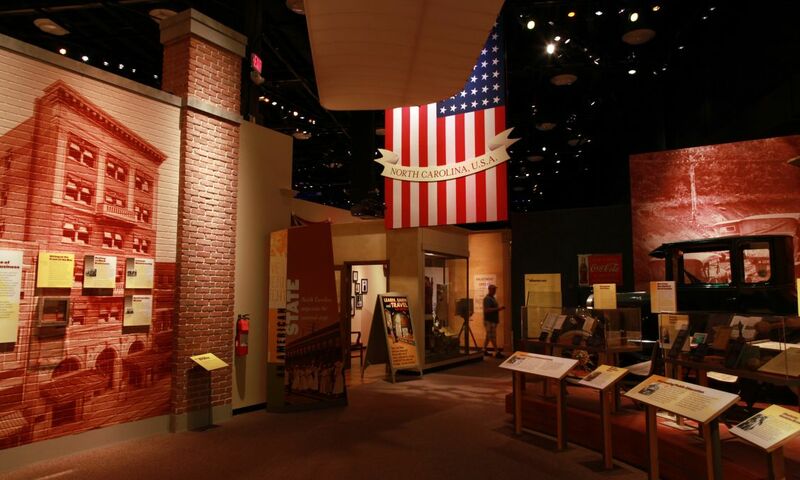 To jump-start your plans and keep you busy during this gorgeous time of year, we&apos;ve put together this list of 30 items for your fall bucket list, perfect for planning a trip to the Raleigh area with friends and family. Need more inspiration? Follow us on Instagram or give us a shout on Twitter—we&apos;re here to help! 1. Step into CAM Raleigh—an ever-changing contemporary art experience in downtown Raleigh—to see one of the coolest exhibits of the year in the Raleigh area. Above the Rim: Courtside at CAM, on view from Oct. 5, 2018-Feb. 3, 2019, explores basketball through the lens of art and celebrates the energy, poetry, community and excitement of the game. 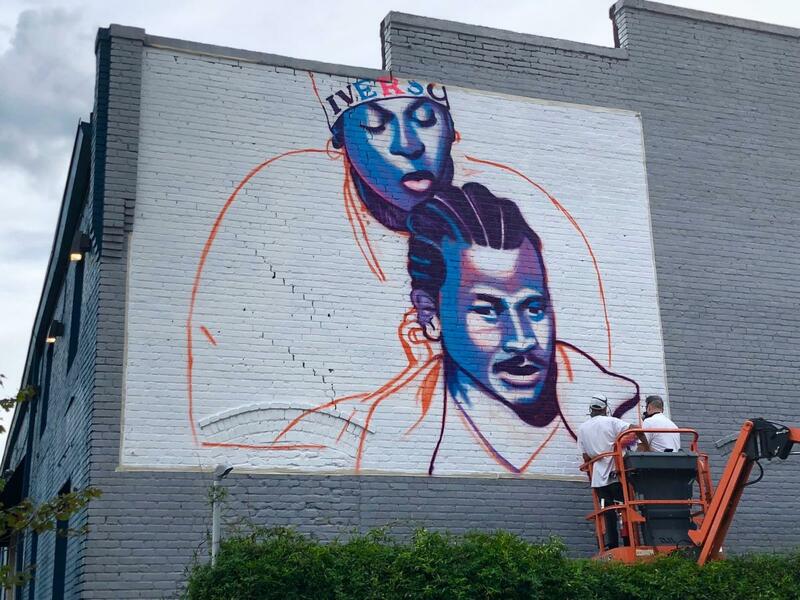 The exhibition brings together sixteen internationally renowned artists using various media, including the mural below (shown in progress, basketball legend Allen Iverson&apos;s mom braiding his hair during an NBA game) by Stephen "ESPO" Powers, a New York-based graffiti artist known for colorful murals that link communities and their surroundings. Get a peak at some more of the works included in the exhibit here. 2. It&apos;s always a good time for barbecue in the City of Oaks! That&apos;s why we put together this guide to barbecue in Raleigh, N.C. Read up on 10 of our favorite spots for pulled pork sandwiches, hush puppies, banana pudding and more, then let the taste-testing begin! A good place to start? Clyde Cooper&apos;s BBQ, serving lean, clean pork shoulders however you like it (chopped, coarse, sliced, on a sandwich, with slaw, beside a pile of hush puppies etc.) in downtown Raleigh since 1938. 3. 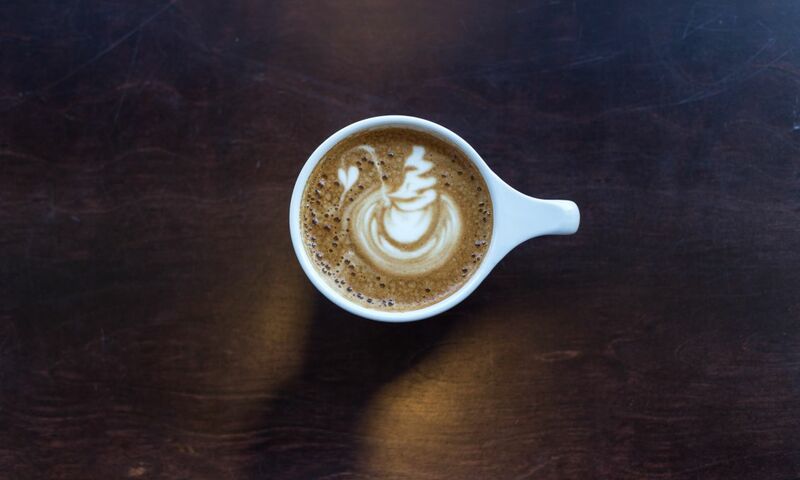 Come October, the wait is over—get your pumpkin spice latte fix from Bittersweet, a downtown Raleigh coffee, cocktail and dessert lounge that&apos;s just as popular late at night (date idea!) as it is early in the mornings. Also, hit up nearby coffee favorites Morning Times, Sir Walter Coffee, 42 & Lawrence and Videri Chocolate Factory for further caffeine goodness. Guide to Great &apos;Cue in Raleigh, N.C.
4. Head to Big Boss Brewing Company&apos;s Casktoberfest (10/4), where more than 40 one-of-a-kind cask ales will be on hand, plus save the date for Triangle Oktoberfest (10/19-20), a family-friendly affair in Cary with tons of live entertainment. 5. 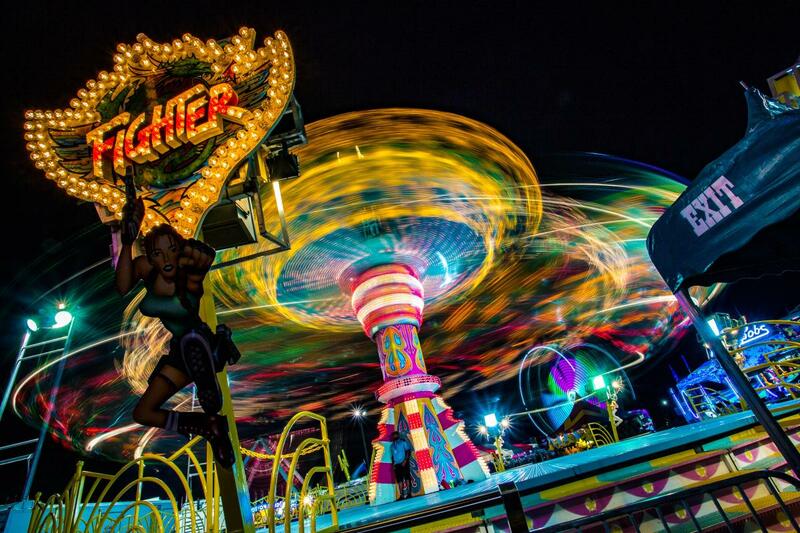 Discover for yourself how "Nothing Could Be Finer" than to be at the N.C. State Fair (10/12-21)—the 151st edition this year promises to be the best one yet! Soar above the midway lights on the State Fair Flyer, stuff yourself with cotton candy and deep-fried goodies, grab a flight of beer or wine at the Our State Public House, catch any of the 118+ totally-free concerts and make sure to stick around for a nightcap of incredible fireworks each evening. More than a million visitors walk through the gates in Raleigh every fall—don&apos;t miss out! Read up on our pick of the 25 things not to miss for the 2018 affair. 6. A new season means new goodies at the State Farmers Market, Raleigh—time to pick up those pumpkins and stock up on apples! More than 30,000 square feet of fresh produce, plants and other specialty items from local farms await. 7. 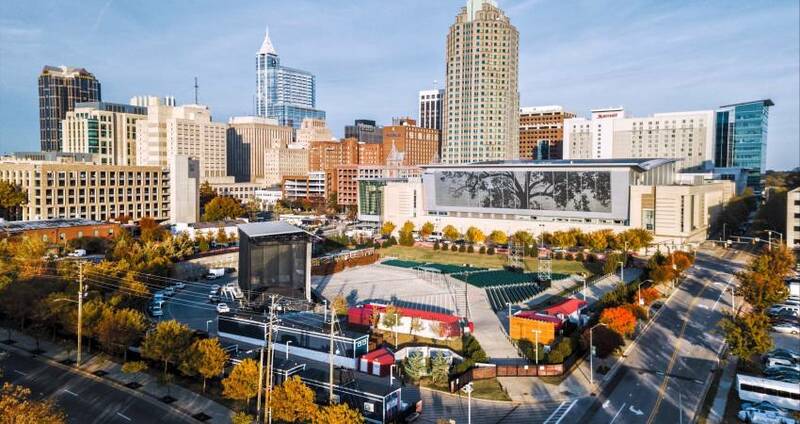 Pop over to Raleigh&apos;s newest foodie attraction, Morgan Street Food Hall. The highly-anticipated, multi-vendor food hall located in downtown Raleigh’s Warehouse District features 20 culinary concepts ensconced in fully-outfitted spaces offering cooked-to-order meals, snacks and specialty foods like crepes, Thai rolled ice cream, bubble tea, lobster rolls, tacos and more, plus specialized retail carts selling packaged food and culinary-related items. The food hall is also home to a massive indoor/outdoor bar—The Arbor—with another smaller gin-focused bar set to open at a later date. Open until 2am on weekends! 8. Plan a visit to the capital city around an exhibition of contemporary art at the North Carolina Museum of Art from renowned artist Georgia O’Keeffe, who revolutionized ways to see ordinary things. The Beyond: Georgia O&apos;Keeffe and Contemporary Art Exhibition (10/13/18-1/20/19) brings together a significant group of O’Keeffe’s works (featuring enormous flowers, luscious color and desert landscapes) as the centerpiece of an exploration of her continued force as a touchstone for contemporary art. 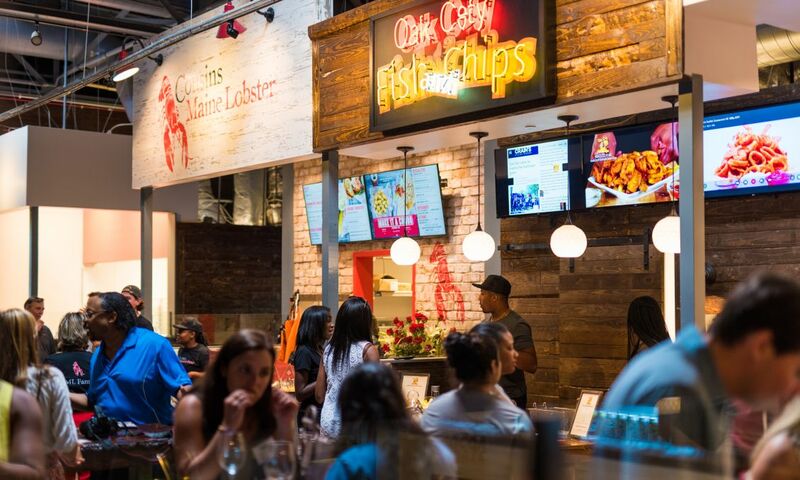 Now Open: Morgan Street Food Hall! Guide to Arts Events this Fall in Raleigh, N.C.
10. Put on your red and white, pack up your lawn chairs and coolers and head to Carter-Finley Stadium to get your tailgate on before rooting for the North Carolina State University Wolfpack football team. Show up early and be prepared to get loud—we take our football (and tailgating) seriously! Check the schedule here. 11. And speaking of tailgating...we do it for hockey games, too! 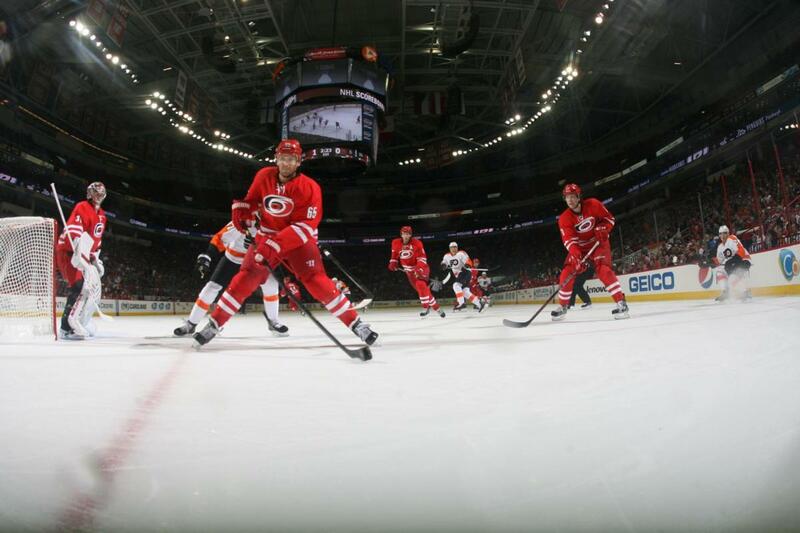 The puck drops on another season for the NHL&apos;s Carolina Hurricanes in Oct.—be part of the #Redvolution and check out the on-ice action in person! Full schedule here. 12. Treat yourself in the absolute best way possible—book a spa day at the Five-Star Umstead Hotel and Spa! The 16,000-square-foot relaxation and rejuvenation space offers body treatments, message therapies, facial treatments, manicures and pedicures, plus allows you to take advantage of plenty of serene lounges, a whirlpool tub, sauna, steamroom, fitness facility and more. Have a group of girl friends that need a getaway? Read up on our guide to a perfect ladies weekend in the City of Oaks! 13. Work up an appetite and head to one of the best Southern restaurants in the U.S. Mandolin, opened in 2011 by Raleigh native Sean Fowler, takes classic Southern options up a notch (or two)—the restaurant was recently named one of the best 50 Southern restaurants in America by OpenTable. Our favorite go-to dinner menu item, the chicken and waffles, uses a buckwheat waffle and is served with braised greens, topped with a bacon and mushroom emulsion and truffle honey. 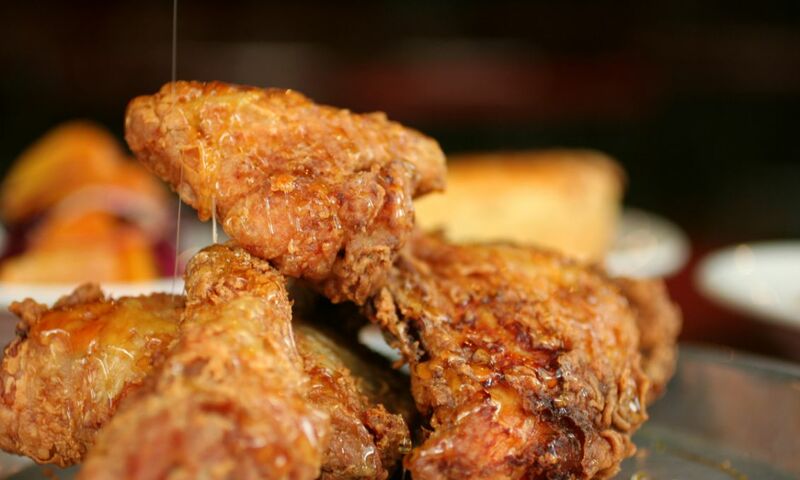 The chicken and biscuits at brunch, served Sat. and Sun., are equally impressive and tasty. 14. Make reservations to grab lunch, dinner or drinks at Brewery Bhavana, the brewery, bookstore, flower shop and dim sum restaurant in downtown Raleigh that was named one of the "Top 10 Coolest Places to Eat in 2018" in the world by Forbes! Brother and sister Vansana and Vanvisa Nolintha, who own Brewery Bhavana along with brewmaster Patrick Woodson, are no strangers to good food and big accolades. 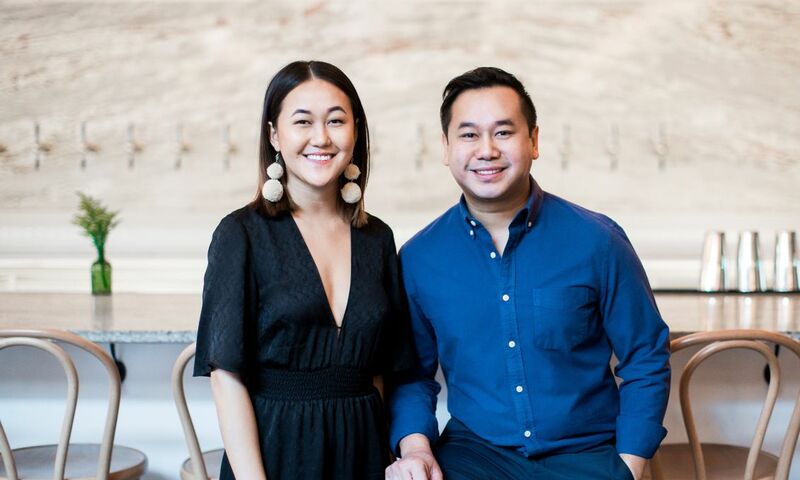 They&apos;re also the masterminds behind Bida Manda, a Laotian restaurant right next door that&apos;s one of the most sought-after dining spots in the city. Brewery Bhavana, which opened in March of 2017, was also named one of the top 10 new restaurants in the country by Bon Appétit. 15. Grab dinner at Jose and Sons—a popular Mexican comfort food spot (recently highlighted in TIME magazine) where you should absolutely order the chicharrón and waffles—then hop just a couple doors down to have a blast (and a beer) at Boxcar Bar + Arcade in downtown Raleigh, where air hockey showdowns, pinball games, Mario Kart battles and more make for an awesome late-night stop or easy Sun. afternoon hangout. 16. Get going on your holiday shopping (start early this year—you can do it!) by heading to Moon and Lola (for the jewelry lover), Holly Aiken - Stitch (for the "can&apos;t have too many purses/bags" person), Raleigh Denim Workshop and Vestique (for the most fashionable), DECO Raleigh (for unique and eclectic gifts from local makers) and House of Swank Clothing Company (for the softest, coolest tees around). 17. Stake out your spot along the 1.4-mile route of the 74th Annual Raleigh Christmas Parade (11/17), where nearly 60,000 spectators (and lots of pets!) will watch marching bands, dancers, classic cars, superheroes and Santa Claus walk the streets of downtown Raleigh. 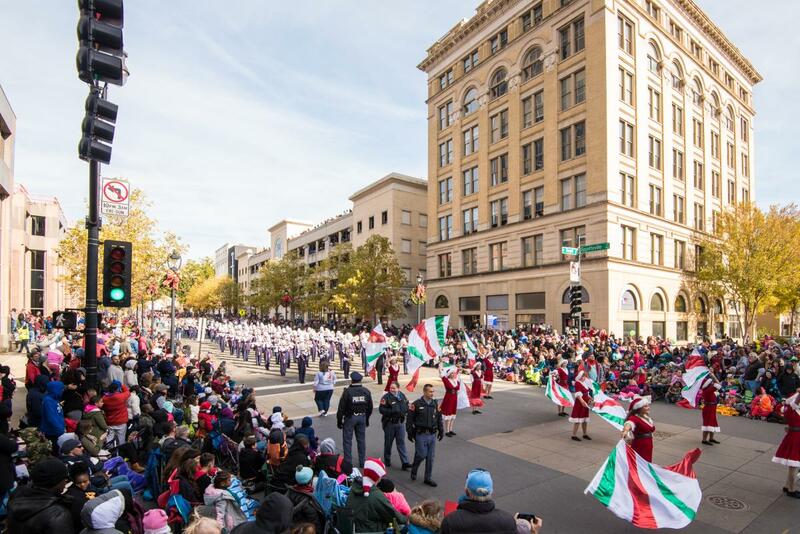 The parade is the largest Christmas parade between Atlanta and Washington, D.C. A frequently asked question: Why is the Christmas Parade held before Thanksgiving? The event gives local businesses a chance to promote themselves by entering the parade, and thus gives shoppers a chance to fine-tune their lists well in advance. Plus, it&apos;s tradition—it&apos;s been this way since 1939! 18. 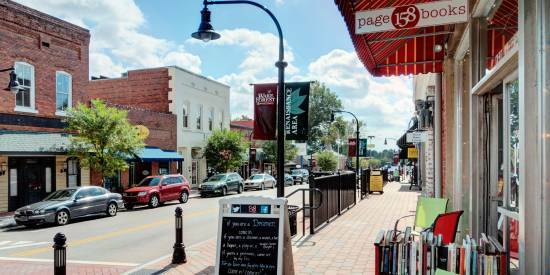 Head to downtown Raleigh&apos;s N. Person St. neighborhood, where "blocks from the Capitol, a less buttoned-up Raleigh is cultivating its entrepreneurial spirit led by an expanding creative class," according to a recent piece from Food & Wine. You&apos;ll find restaurants, bars, bakeries, creative boutiques and more, all within a couple blocks, which makes it easy to spend an entire day or night exploring. Pro tip: Start by making reservations at the critically-acclaimed Crawford and Son for a dinner of seasonal small plates and desserts that&apos;ll blow you away. 19. 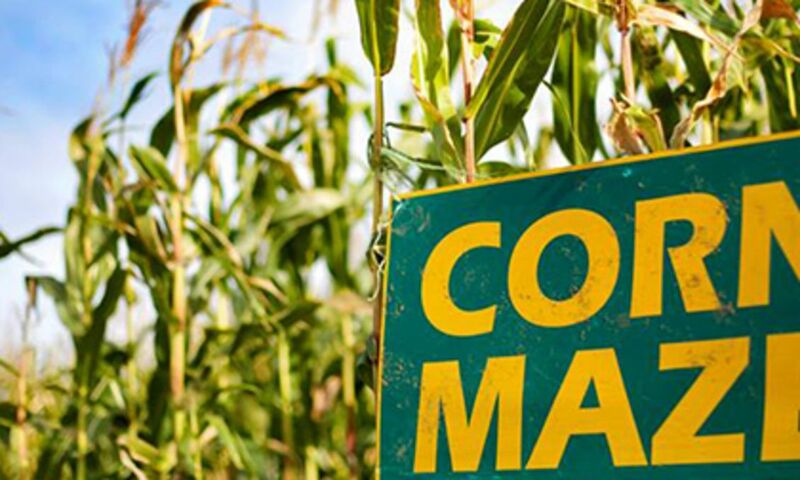 Get lost in a sea of corn as you take on Ken&apos;s Korny Corn Maze, a fall tradition for more than 15 years in the town of Garner. Navigating the nearly 2.5-miles of twists and turns through the six-foot-tall corn stalks typically takes between 60 and 75 minutes to complete. For a handful of nights in late Oct., the maze turns into Harvested Farm Nightmares, where you&apos;ll be chased by spooky spirits, brain-eating zombies and escaped convicts—seriously, here&apos;s what you&apos;re up against! 20. 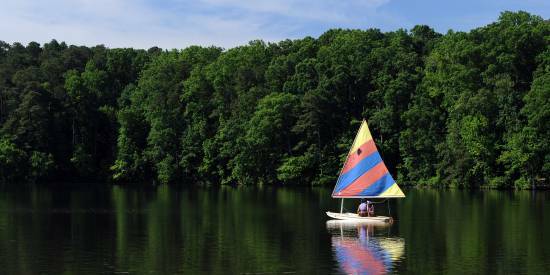 Take advantage of ideal running and cycling weather by exploring William B. Umstead State Park, N.C.&apos;s most visited state park. One popular way to do it: Park your car at the brand-new Old Reedy Creek Rd. Trailhead and run up the hill into Umstead State Park on the Reedy Creek multi-use trail. 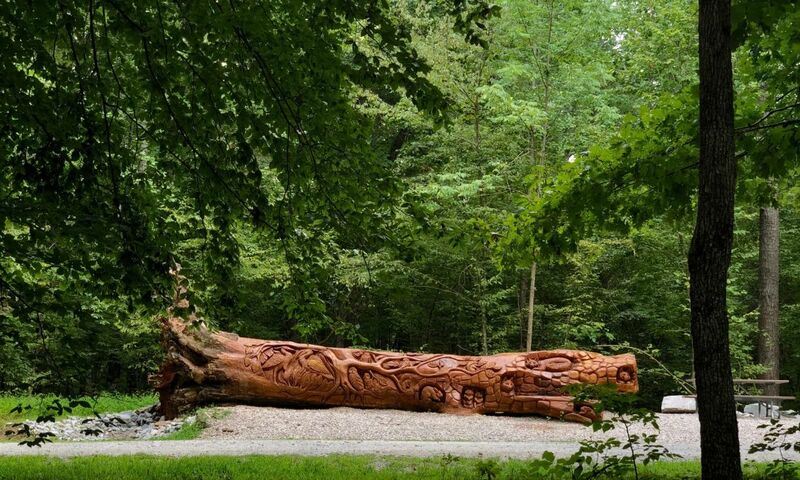 You can follow this trail on foot or bicycle for five miles—conquering some semi-tough rolling hills along the way—before reaching the park&apos;s edge. A total of 10 miles out-and-back is a great workout, but you can also plan your own route using the park map. 21. Planning to be out and about for a fun night in downtown Raleigh? We know you&apos;re going to end up hungry, and we&apos;ve got your covered with these 18 spots to grab late-night grub near the city&apos;s center. Beer-battered pretzels, burgers and shakes, tacos that hit the spot and a lot more can be found outside of nightlife spots all over town. 22. Tour Raleigh Rum Company, local distillers of three styles of small batch, handcrafted rum (a white, a sweet dark and a spiced). Each Sat. they offer free tours and tastings at the distillery just east of downtown Raleigh—no reservations required! You can also purchase bottles of rum from the distillery, and you&apos;ll find ways to dress up or dress down the rum with these Raleigh-themed recipes on their website. While you&apos;re at it, visit some of the best cocktail bars in Raleigh for seasonal drinks and good times with friends. 23. 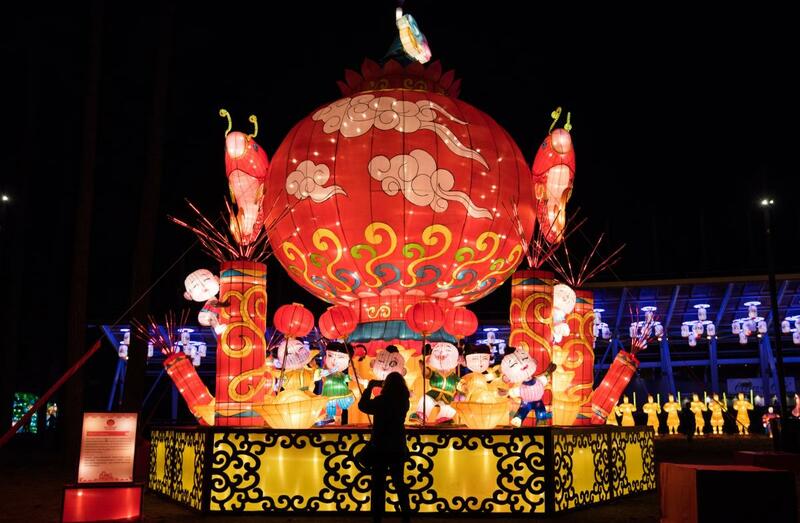 Grab your friends and family and head to see the North Carolina Chinese Lantern Festival (opens 11/23) at Koka Booth Amphitheatre in Cary, where hundreds of lanterns and more than 15,000 LED lights make up more than 20 incredible glowing displays. Check out our event guide from last year here (updated details coming soon!). 24. Sip and savor chardonnays, merlots, scuppernongs and more while you meet and greet the fascinating people who are forging N.C.&apos;s reputation for quality wines at the North Carolina Wine Festival at North Hills (10/27). Enjoy delicious food, the opportunity to shop local businesses and purchase wines you like by the bottle and case, all while listening to three awesome bands jamming on the main stage. 25. When it comes baked goods, the Raleigh area truly rises to the occasion. An upper crust of sorts, some of our favorite selections below excel in baking the best loaves of bread, the most delectable desserts and the most positively sinful pastries. 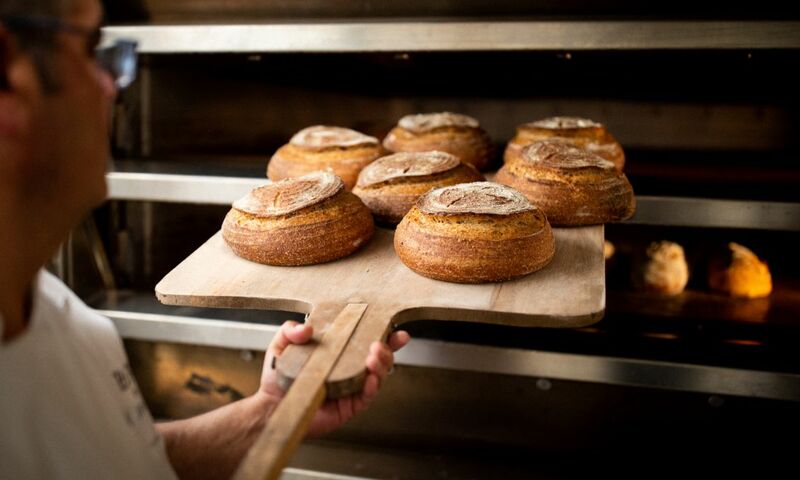 Grab signature sourdough breads from renowned master baker Lionel Vatinet at La Farm Bakery in Cary, fruit-filled tarts at Boulted Bread in downtown Raleigh, a slice (or two, or three...) of legendary pound cake at Sweet Cheeks Bakery in Apex and take a look at this baker&apos;s dozen of our favorite picks—yum! 27. Pay a visit to downtown Cary&apos;s Ashworth Drugs, the iconic pharmacy/soda shop/hot dog joint that has been a constant at the corner of W. Chatham and S. Academy Sts. 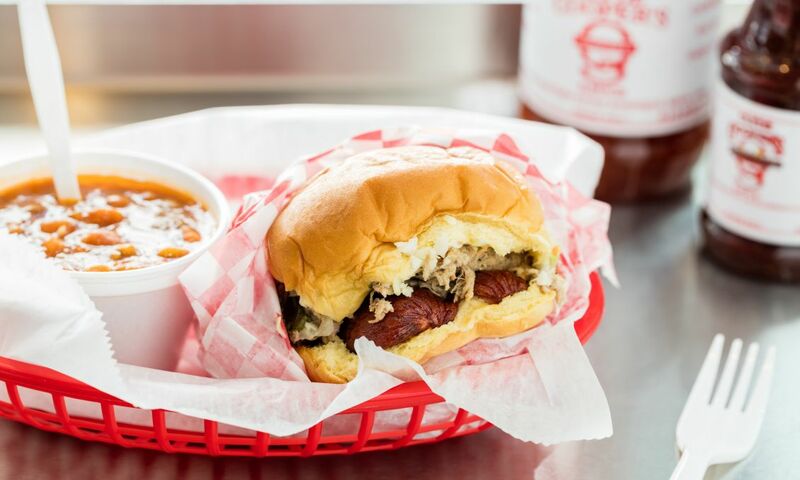 for more than 60 years now, then head to downtown Wake Forest to dine at the area&apos;s oldest restaurant—Shorty&apos;s Famous Hot Dogs, serving bright-red dogs with homemade chili on steamed buns for more than 100 years (and still owned by the same family that started it all). 28. Put your dancing shoes on and get ready to catch big-name live music acts headed this way—Chris Stapleton (10/12), Umphrey&apos;s McGee (10/12), Blues Traveler (10/27), Travis Scott (11/9) and way, way more! Keep up with themostnc.com calendar for full details on upcoming shows. 29. 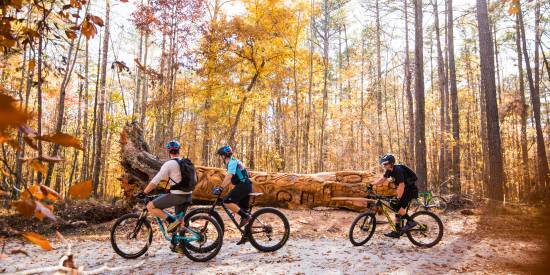 Spend a day in the town of Wendell—just east of Raleigh—where you&apos;ll find buzzed-about coffee shops and a hidden nature preserve that acts as the perfect getaway for kayakers. 30. Save the date for two annual favorite events at PNC Arena: Disney On Ice: Mickey&apos;s Search Party (12/5-9) and Trans-Siberian Orchestra: The Ghosts of Christmas Eve (12/12). And yes, it&apos;s still techincally fall in mid-Dec.!